Please join us at the Embassy of Italy as we honor frequent Sondheim collaborator and writer John Weidman. 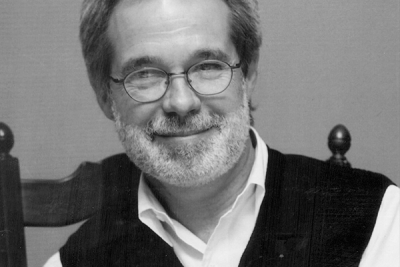 Mr. Weidman’s highly recognizable work includes Sondheim’s Assassins, Pacific Overtures and Road Show, as well as Tony Award®-winning musicals Anything Goes and Big. Tony® Award-winners Michael Cerveris (Fun Home, Assassins, Road Show), Richard Maltby Jr. (Miss Saigon, Ain’t Misbehavin’, Big), Marsha Norman (‘night, Mother, The Color Purple) and Karen Ziemba (Contact, Steel Pier) will join Helen Hayes Award-winner Jacquelyn Piro Donovan (Signature’s Witches of Eastwick, 110 in the Shade) to honor the renowned Stephen Sondheim collaborator. Join us by clicking here or calling 571 727 1828. Dinner by Susan Gage Catering and performances by notable Broadway and Signature artists. Signature‘s annual Sondheim Award Gala honors those who have contributed to the works of Stephen Sondheim and the canon of American musical theater. The Sondheim Award Gala benefits Signature‘s artistic, education, and community outreach programs. The Gala takes place at the Embassy of Italy in Washington, DC, and is a festive evening that includes cocktails and hors doeuvres, a gourmet seated dinner, and a delicious dessert buffet. Each year, the honoree receives a special award presentation that includes tribute performances by notable Broadway and Signature artists.